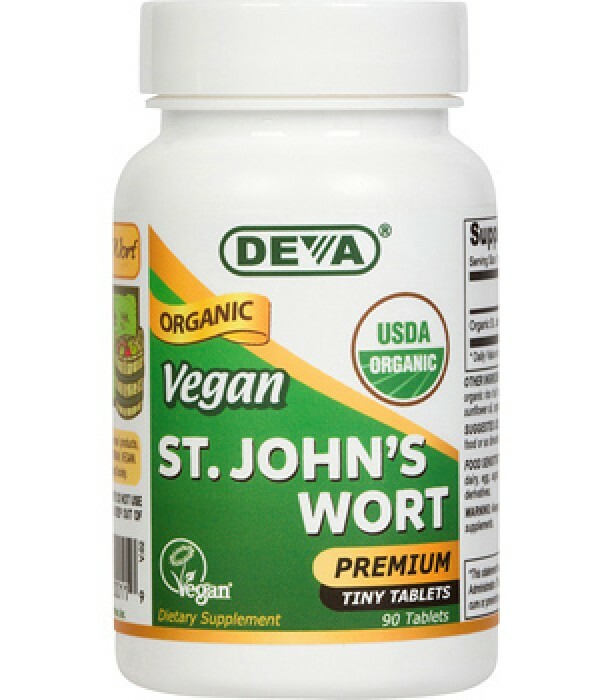 St John's Wort has long been used by herbalists across different cultures and has also been researched scientifically in modern era. 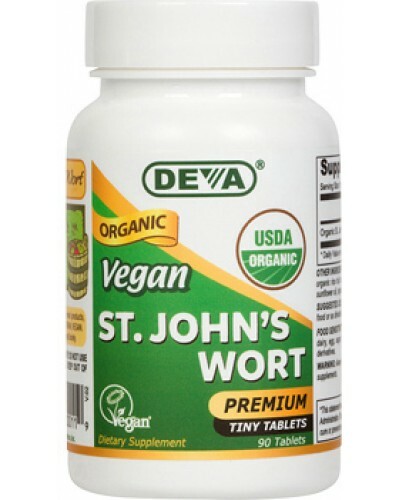 Deva Vegan St. John's Wort is certified USDA Organic by ICS. Each round tablet measures only 3/8" in diameter making it easier to swallow. In order to provide peace-of-mind to our consumers, our products have been registered as 100% Vegan by the non-profit Vegan Society. This non-profit organization, which first coined the phrase "vegan," has a strict and detailed process for registering vegan products. Free of soy, yeast, gluten, wheat, corn, dairy, egg, sugar, salt, preservatives, animal products or derivatives.